Are you searching a perfect business WordPress theme for finance or consulting? If your answer is yes! Then You are in the right place. Trendy Theme a most growing theme company has released their awesome theme. 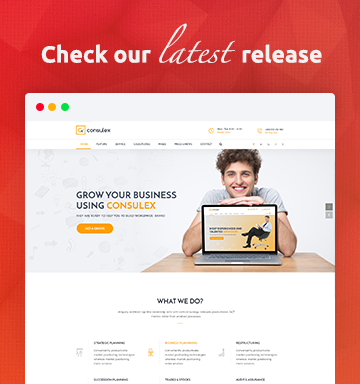 It is finance and consulting business WordPress theme named Consulex. Most Compelling evidence, you can use this website for accountant, advisor, consulting agency and business. Similarly, you can use it also for corporate, investment, pensions, trading. Indeed, you will be able to use it for insurance, loan, tax help, the investment firm, consulting firms etc. You can’t believe, Consulex has used 8 different page styles. Similarly, it has all different layouts also. You have no tension, as you will be able to create different pages by using visual composer. On the other hand, the theme is fully responsive. For this reason, you have no anxious about using this theme. It will work fine for different types of websites. Consulex has been built following the latest trends. It’s very reliable for security reason. On the other hand, the theme is very lightweight. It is very easy to build amazing websites for anyone using Consulex. Let’s see the special features of Consulex. Must be remembered it’s a finance and consulting business WordPress theme. It’s so easy to build a website with Consulex WP theme. You can easily build a good-looking website including portfolio, blog, testimonial and company profile page etc. The theme is fully responsive and it has used Bootstrap 3.0, which is very user-friendly. Consulex will work fine for any types of devices. Until now it’s a fully responsive theme. All types of devices including tablet or mobile will support this theme. It will not sacrifice for the perfect pixel. On the other hand, it will give professional look in the different screen. It’s no matter how the screen sizes and resolutions. You can easily customize your websites by Visual Composer. Visual Composer allows you to build the websites by dragging and dropping. If you are not so much tech savvy, then you can also build websites by this awesome premium tool. Consulex offers you to give your website’s professional look. Notably, the price of the plugin is above $34, but you will get it as free with consulex. It will provide you 26 custom elements when creating your business and finance WordPress websites. Similarly, Consulex offers premium Slider Revolution. It allows creating amazing slider in your websites. This finance and counseling Business WordPress theme, Consulex offers some premium plugins with the theme. They have made the theme more attractive and innovative. It will increase your user-experience. As it offers premium features including the plugins. Some awesome premium plugins are Visual Composer, Slider Revolution, ETC. Consulex is a premium theme and it offers a lot of professional features. For example, you will be able to install the theme from one click demo import. Similarly, it offers the automatic update. On the other hand, it has added the stunning slider. Similarly, it will support Google Font. It will reduce your tension for typography. It allows you to create Sticky Mega Menu and custom header area. Another key point, you can easily add contact form and map with one click only. 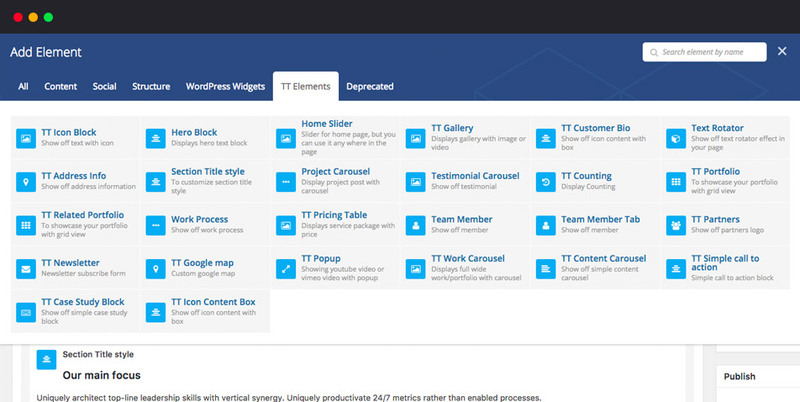 Trendy Theme has built an awesome Support team. They are all waiting to solve any problem including the theme. Trendy Theme is always ready to bring the new update. It will provide you updated features all the time. On the other hand, you will get all the update automatically if you use any Theme alongside Consulex. In any pre-sale or after-sale will be solved within a day. Above all, considering the features, Consulex is very perfect for any websites. Significantly, it will be best suited for any business websites. Surely, you have enjoyed the theme. I think it will fulfill all the needs of a business. 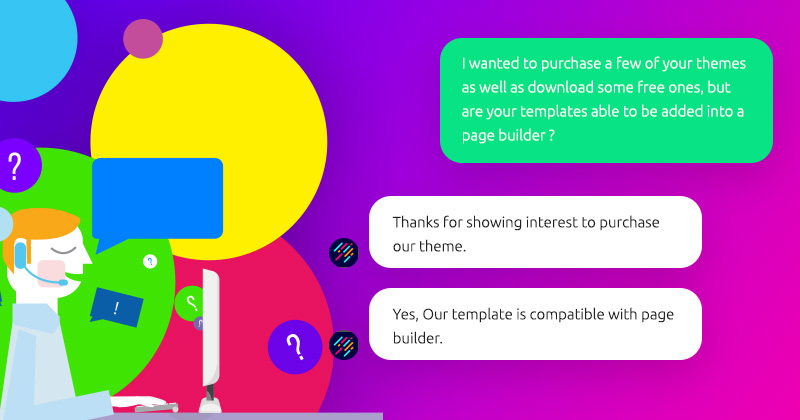 If you want to know further details, you can contact the support team of Trendy Theme.